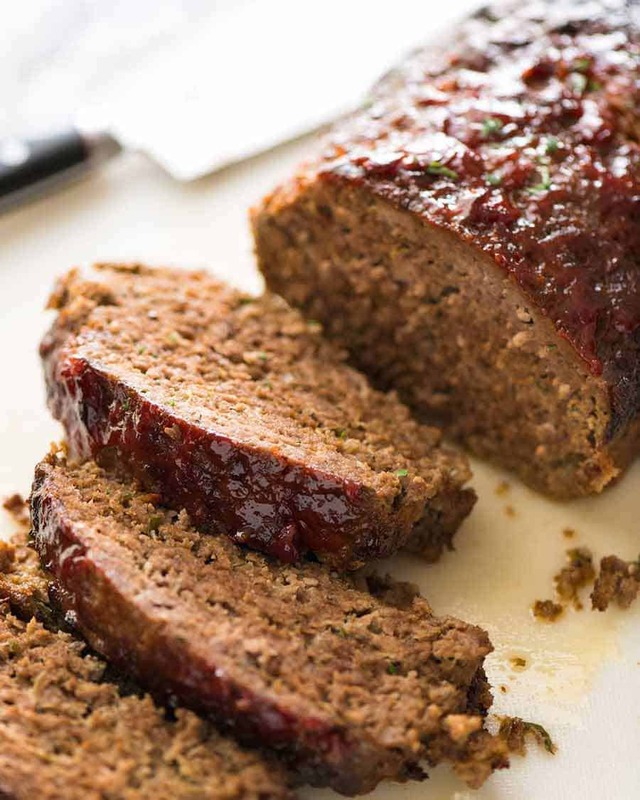 Meatloaf is so much more than just a giant hunk of ground beef in a loaf shape. It should ooze with flavour, be moist and tender yet not crumble apart when sliced. The caramelised glaze is the crowning glory! 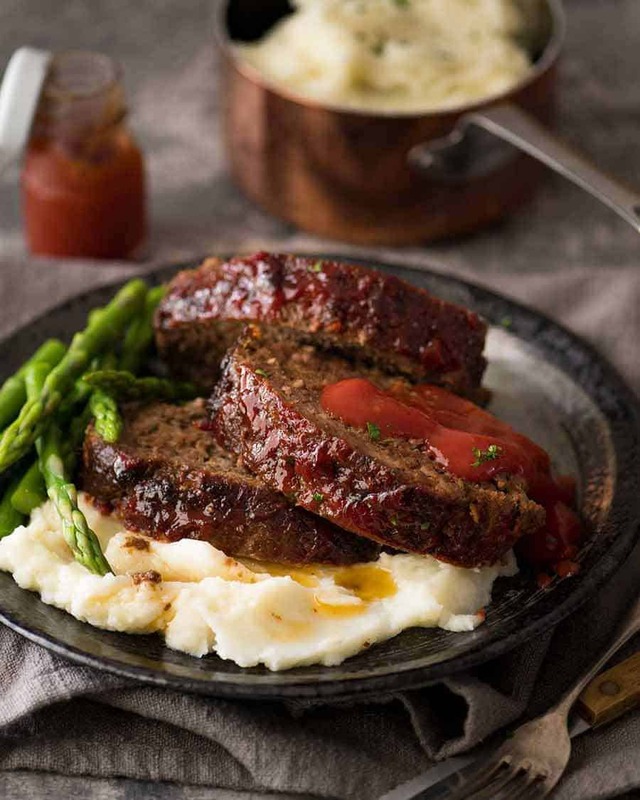 Meatloaf recipe originally published March 2018. Updated 9 September 2018 for some housekeeping things. No change to the recipe – I wouldn’t dare, readers love it as it is! It’s economical. It’s quick to prepare – albeit does take just over an hour to bake. It’s a classic family favourite. And leftovers make terrific sandwiches. If you have it in your head that Meatloaf is really just a giant beef burger shaped like a loaf, it’s time to abandon that misconception. Meatloaf shouldn’t taste like a hamburger! It should taste like…. well, actually, that’s an interesting point. I’ve never really thought about what Meatloaf tastes like. There’s no denying there are some similarities, being made from beef mince (ground beef). But whereas you wouldn’t eat a hamburger plain, without toppings, sauces, cheese and a bun, you can certainly eat Meatloaf plain because it’s so juicy and tasty. I think there are two little things I do a bit different from the usual Meatloaf recipe. Firstly, I do my usual grating onion over panko breadcrumbs which soaks them so they later puff up during baking, making our meatloaf nice and tender. This is also how I get the savoury onion flavour into all things meatball / patties / meatloaf instead of dicing them then frying them separately. Regular readers are so sick of reading about why I do this. I use this technique so often! Secondly, I use beef bouillon cubes (stock cubes or powder) for the seasoning. That’s the dark brown stuff crumbled on top of the meatloaf mixture in the photo below. So much tastier than just plain salt. Promise. I know some recipes like to freeform meatloaf, but I like to bake mine in a loaf pan because I find it cooks more evenly because it holds its shape. A freeform meatloaf is shaped like an oval bread loaf so it has pointier ends which will cook through faster and has a tendency to dry out a bit. 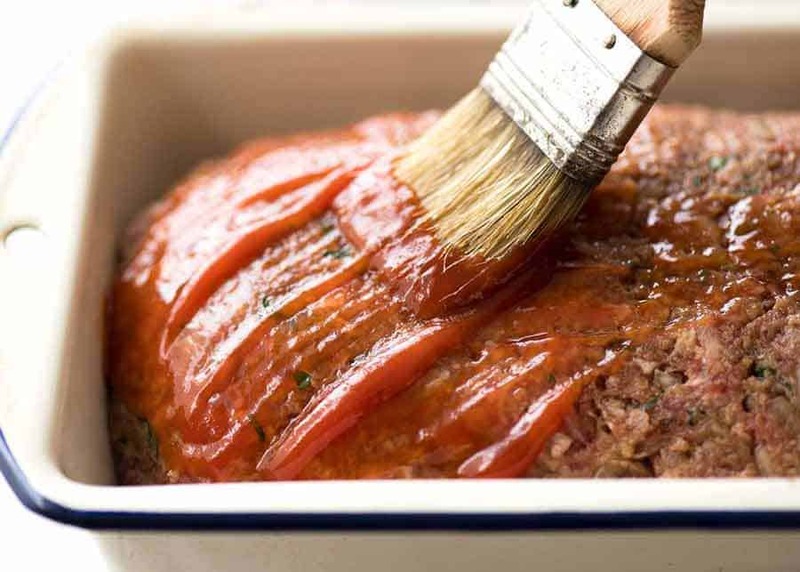 I also like to coat my meatloaf with a glaze which adds an extra something-something to the meatloaf both in looks and flavour. Fear no cracks, my friend! 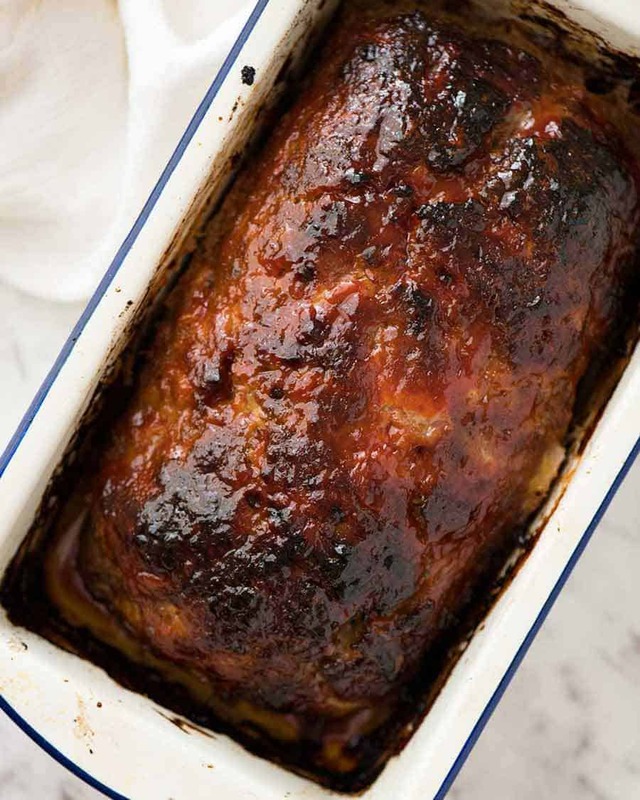 If you smooth the Meatloaf surface sufficiently, it shouldn’t happen but if it does, relish in it, don’t be deflated – just think of that glaze dripping down into those cracks! 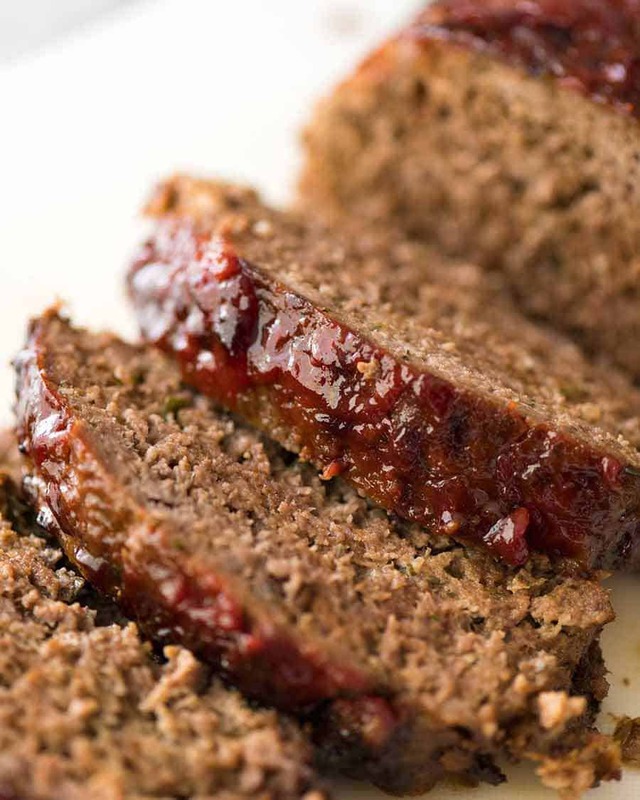 Watch me make this Meatloaf recipe! Stand for 10 minutes before turning out and cutting into thick slices. 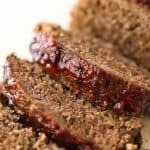 You will probably get a bit of crumbling just on the edges of the first couple of slices, this is normal and indicative of the tenderness and juiciness of the meatloaf (zero crumble indicates firm packed harder meatloaf which isn’t as enjoyable!). 2. Using beef bouillon cubes rather than just salt really adds so much better flavour to the meatloaf. 3. My loaf pan is 23 x 13 x 6 cm / 9 x 5 x 2.5″. As long as you have one about this size, this recipe will work fine though it might be flatter or taller. 4. GRATED ONION – soaking breadcrumbs with grated onion is a technique I use in most things made with a mixture like meatloaf for two reasons: 1) chopped onions need to be cooked separately other you end up with raw onion; and 2) the soaked panko breadcrumbs “puff up” when cooking, which makes the meatloaf/meatball/patties soft on the inside. 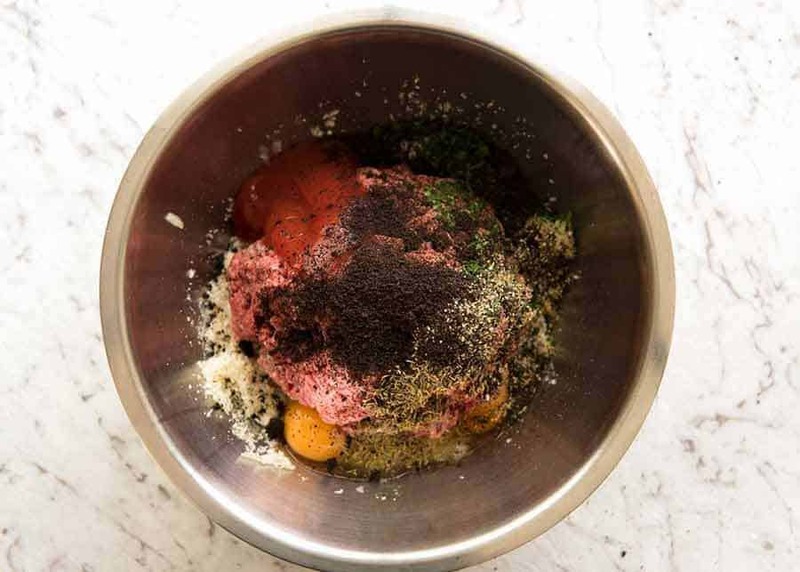 If you’re interested to read what others think, have a browse through the comments in my Italian Meatballs recipe! 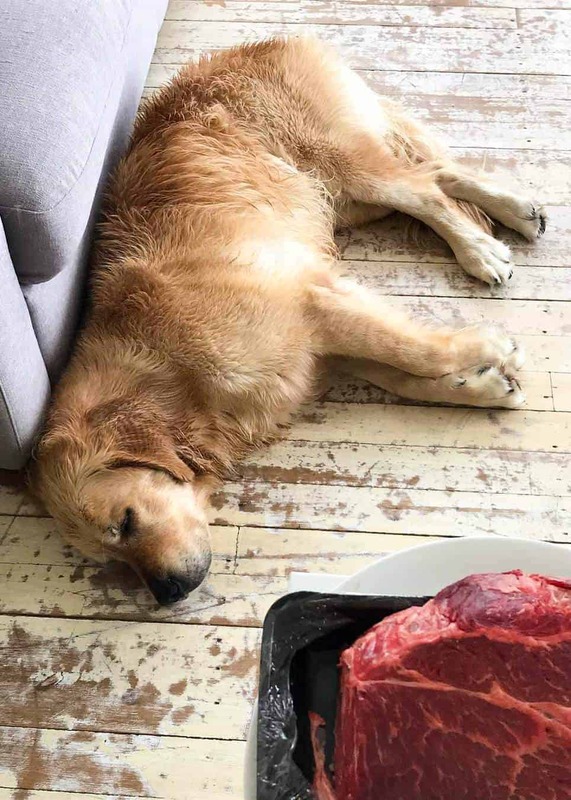 So exhausted after a big play session at the beach, he didn’t even stir when I pulled out a giant hunk of beef. The post Meatloaf appeared first on RecipeTin Eats.